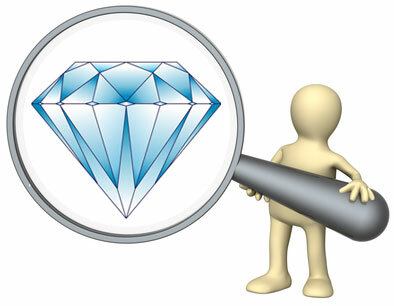 Hi, I just bought an estate engagement ring from a local independent jeweler. My soon-to-be-fiance loved it in the showroom and I went back to buy it. 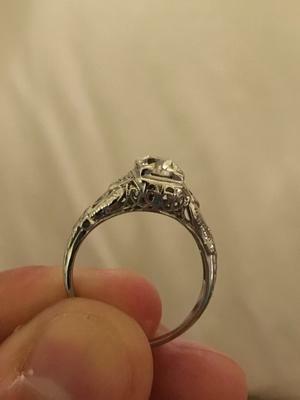 But I'd love to get more history on it before giving it to her - like how old is the ring/diamond, is there a style that it followed (or design name), where might it be from, how common is it etc.? 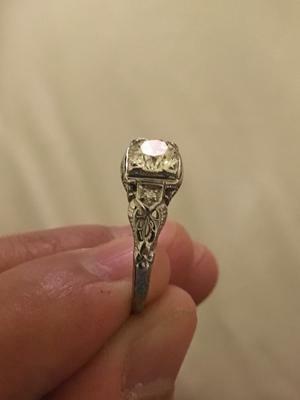 Here's what I know: paper work says it's got an old European cut center diamond, 1ct, 18k white gold, no stamps on it or numbers on the diamond. 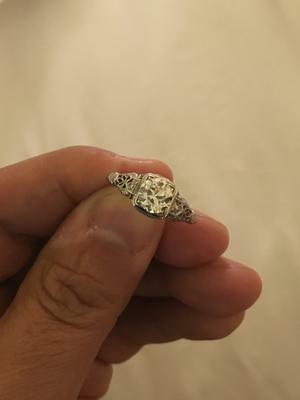 The accent diamonds are listed as round single cut but another jeweler I saw today insists they are old mine cut accent diamonds (she really liked them!). I've attached a picture. 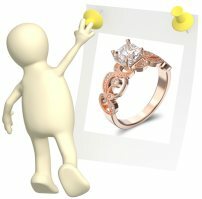 Click here to return to Wedding Ring Questions.